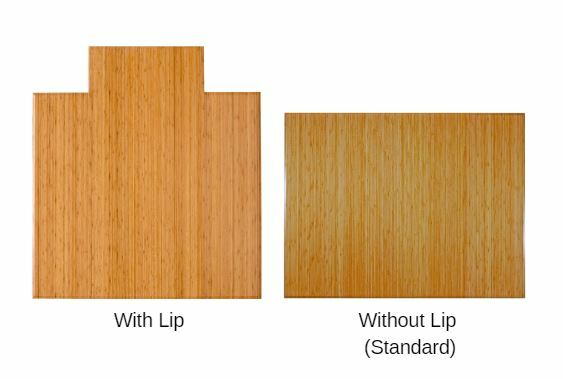 Our patented Bamboo Office Chair Mats have introduced eco-friendly style to what was formerly an unattractive and purely functional accessory. Naturally elegant bamboo is more durable than a plastic mat and adds a charming organic touch to any area. This 12mm mat is our thickest and most durable mat. 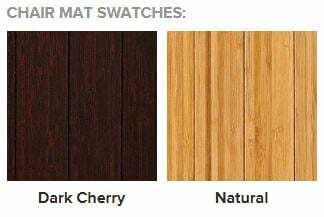 Our patented Bamboo Office Chair Mats have introduced eco-friendly style to what was formerly an unattractive and purely functional accessory. Naturally elegant bamboo is more durable than a plastic mat and adds a charming organic touch to any area.